Dont feel like fabbing up a new wing harness for that full house glider? Making your own custom wing harnesses is a rewarding experience, especially with the first few; after that you become acutely aware of how much time is consumed creating them. That is why we designed this custom "choose the size that best fits your plane" collection of wing harnesses. Using the drop down menus above, choose the Rx harness length that you would like for your fuselage and then the length that fits your wingspan. Our quality harnesses are made especially for us, using 22 gauge 3 conductor twisted servo wire. JR style connectors are used to make the connections to the servos and receiver while 6 pin MPX connectors have been chosen for the wing / fuse connection plugs. Each wire is carefully soldered and heat shrunk to the 6 pin connector. All other connections are professionally crimped and use gold plated terminals. 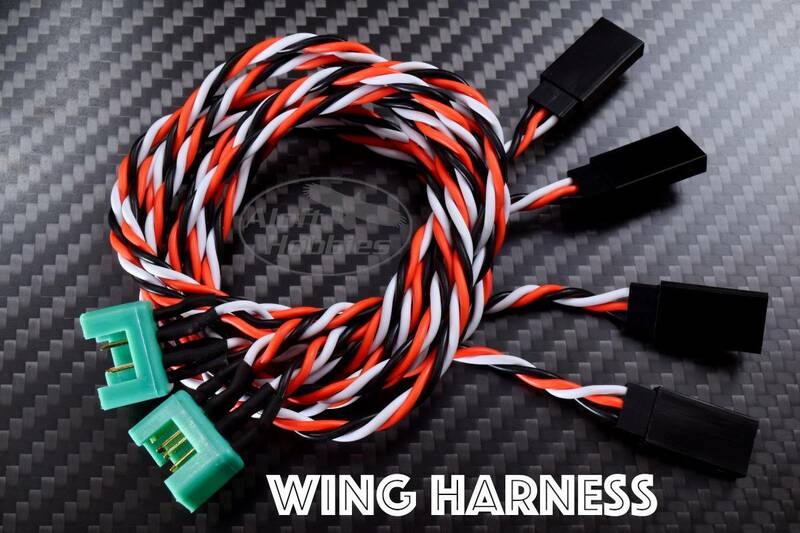 All wing harness parts are sold in pairs. (you get one harness for each wing, left and right). 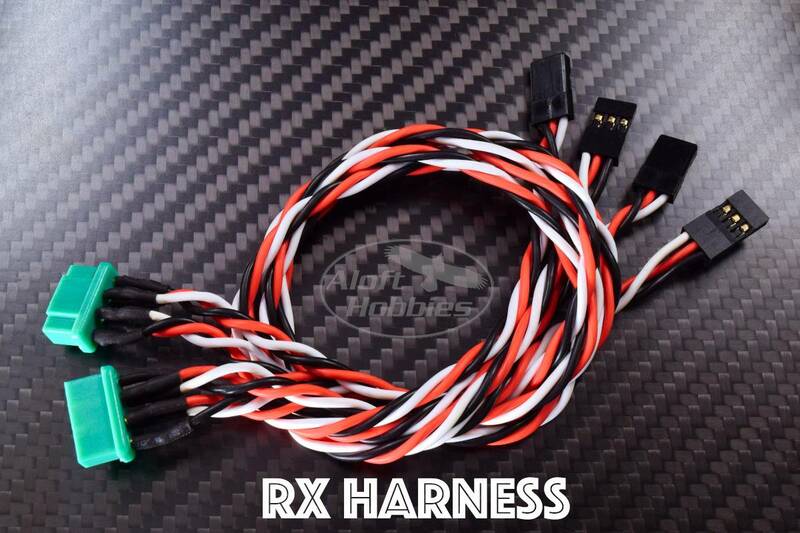 Likewise, if you buy an Rx harness you will receive two parts, one for left side and one for the right.